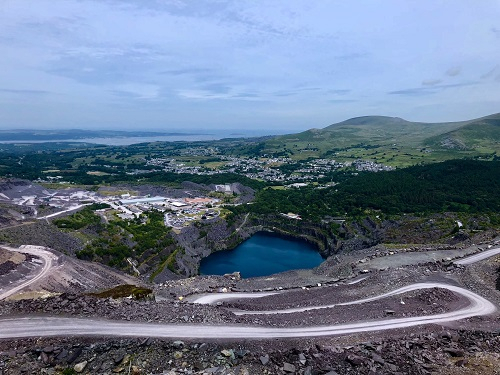 Imagine your boss telling you that you are going to slide head first of a mountain ledge and fly over a water filled quarry. You’d be nervous, right? Well, that’s exactly what UKMums.tv team members Fraser, Ellie, Rory and Georgia were told to do, all in the name of finding the best day out for you and your family! 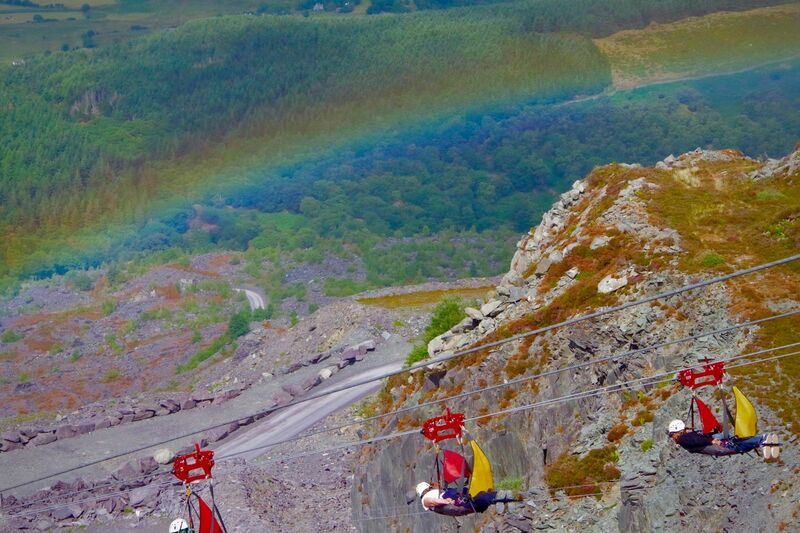 Zip World in Bethesda, Wales, is home to Velocity 2, the fastest zip line in the world and the longest in Europe. With speeds of up to 100mph this isn’t an activity for the faint hearted, but it’s certainly a winner in our books. Kids from 10 years old can take the Velocity 2 challenge, meaning it’s not just for brave adults! Younger children can take part in a quarry tour too, or watch mum and dad scream down the zip from the viewing deck. Our four willing (and nervous) testers got kitted up to take on Velocity 2 and much to their surprise they were more ready to go again, than ready to run away when they had finished! Wales isn’t just home to Velocity 2. 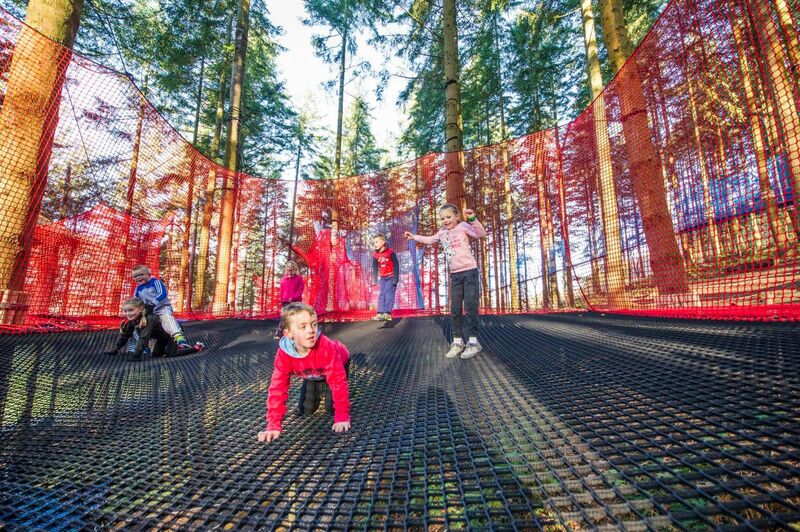 Just 15 minutes in the car from Zip World is Zip Fforest which is every child’s idea of heaven. With five different activities, all at reasonable prices Zip Fforest has a day full of things to do, for all the family. Our team tried out the Treetop nets and all turned into mid-twenties big kids! Although we aren’t sure how children spend HOURS on these things without needing a mid-bounce nap! One resounding piece of feedback for Zip Fforest was how clean it was and how friendly all the staff were. Health and safety is taken seriously but it doesn’t hinder the fun and just like Zip World there are plenty of places to sit and there are no rules on bringing your own food and drink which sounds pretty perfect to us! For adventure seeking families, Zip World and Fforest are the perfect places to spend a weekend of your summer. Along with awesome walk routes nearby, plenty of B&Bs to pick from and a gorgeous pit stop area at Betws-y-Coed for lunch or an ice-cream there’s so much to do and so many reasons to make the journey. You can find out more about Velocity 2 and Zip Fforest here…We dare you to give it a try! NB: our team were sent to Zip World and Zip Fforest on a complementary visit, although all thoughts and views are their own. Have you ever visited Zip World before? If so, let us know what you thought over on Facebook and Twitter.